This is a fantastic example of the men's pulp magazine genre of illustration art by well known illustration artist Primo Marcarini. This painting is action packed with amazing vibrant colors and composition. 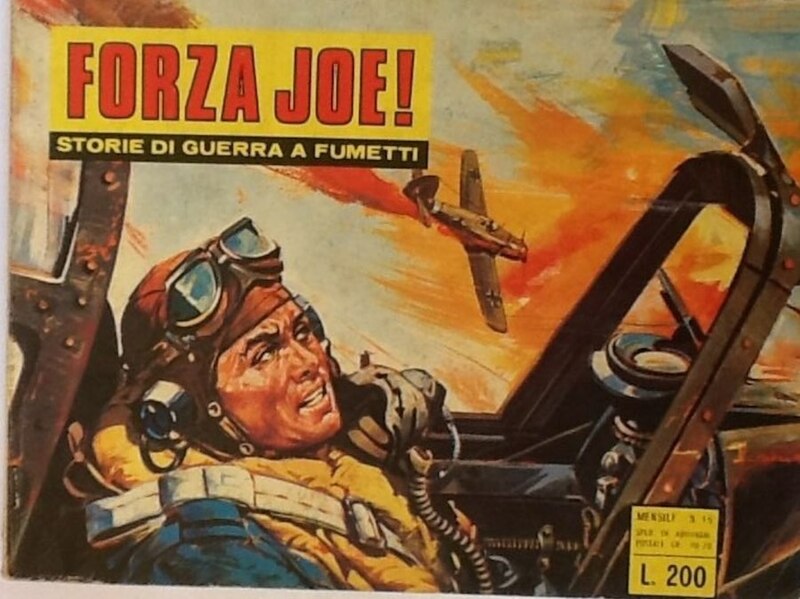 It was cover art for Joe Forza 16 (magazine not included). 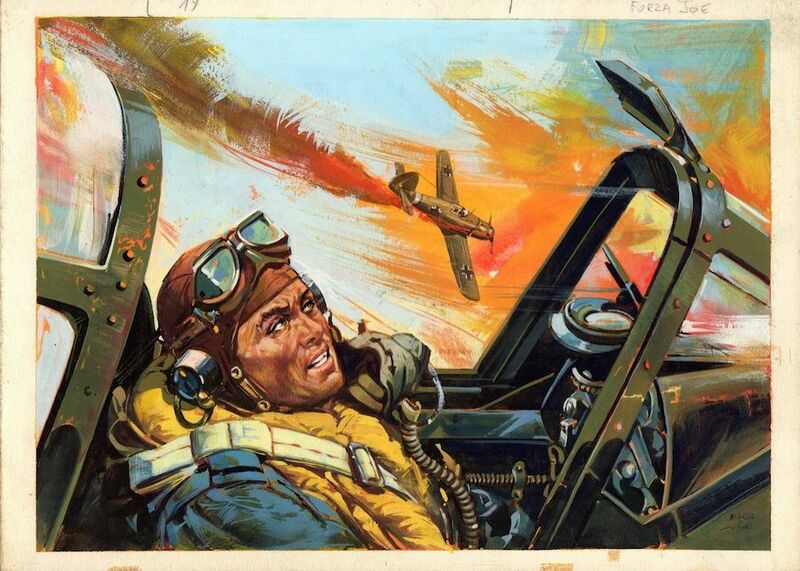 This vintage original cover art would make a fantastic gift or addition to any man cave!